Feel Better! 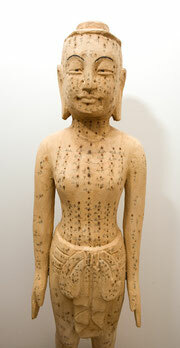 - acupuncture-sf's JimdoPage! Are you looking for an alternative or supplement to standard medical care for your health issues? Are you craving better health, energy, and vibrancy? Do you need lasting pain relief? If so, acupuncture and herbal medicine may be able to help. Chinese medicine incorporates both acupuncture and herbal medicine, and has been practiced across Asia for over two thousand years. In California today, licensed acupuncturists are trained to use acupuncture and herbs to encourage the body’s natural healing process, thereby helping strengthen the body, prevent disease, control pain, and improve the mood. Whether you want a completely natural approach to your health issues, or you want to work within the parameters of your conventional medical care, we can help. Call us at (415) 572-1797 or email us with any questions about Chinese medicine that you may have, with no obligation.